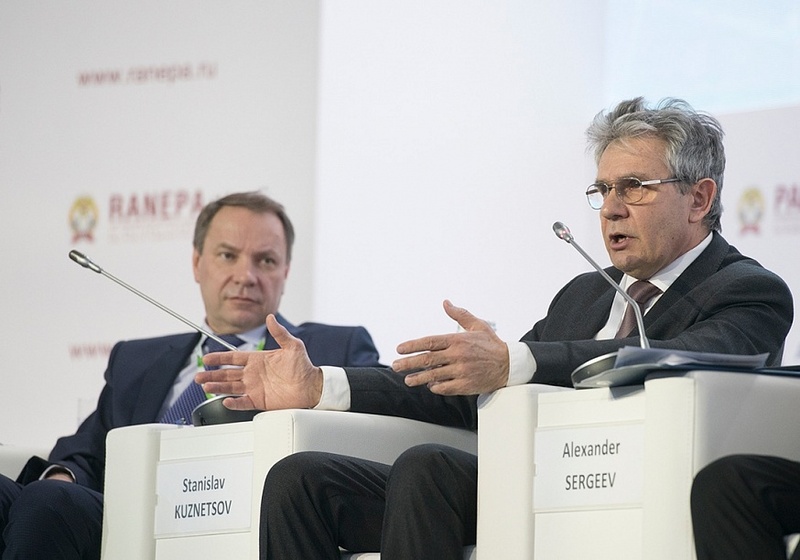 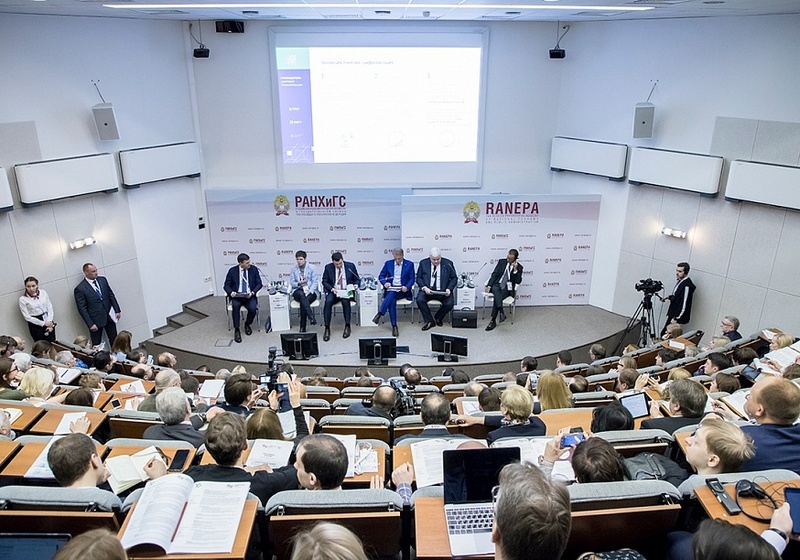 The 2019 Gaidar Forum, Russia and the World: National Development Goals and Global Trends, took place at the Russian Presidential Academy of National Economy and Public Administration (RANEPA) from January 15 to 17. 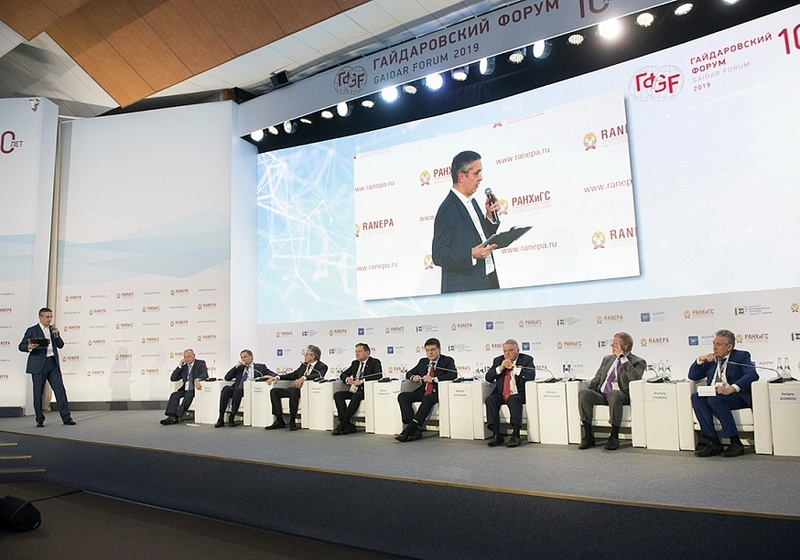 The main topics raised during the forum discussions included national development values and global trends; Russia’s development strategy for 2018–2024; scientific and technological development and digitalization; modern public administration and political trends; education and economic growth; social elevator for young people; tax myths; the banking system transformation; and social responsibility of businesses. 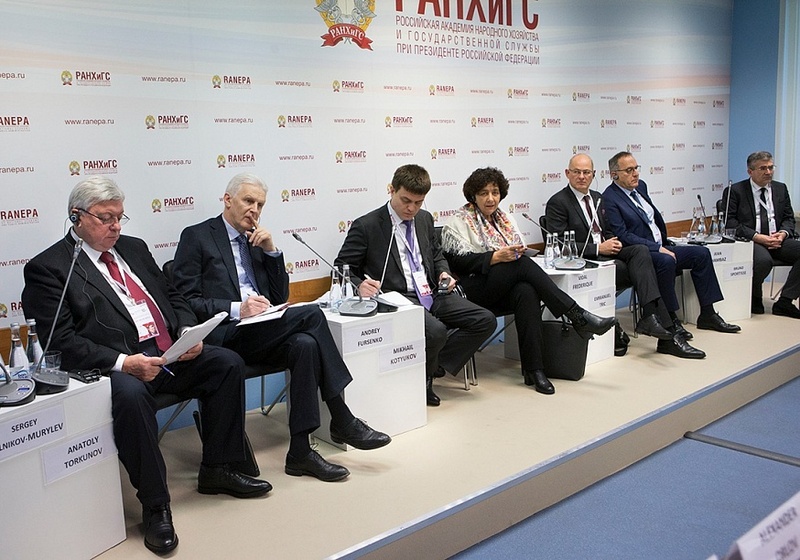 Discussions at the forum traditionally focus on the most acute problems of our time. 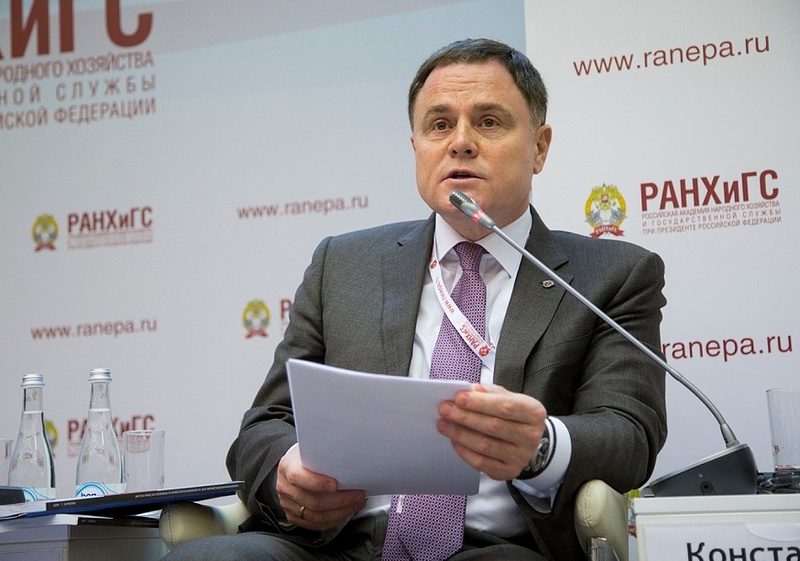 Particular importance is given to interpretations of the current situation and Russia’s strategic role in the world. 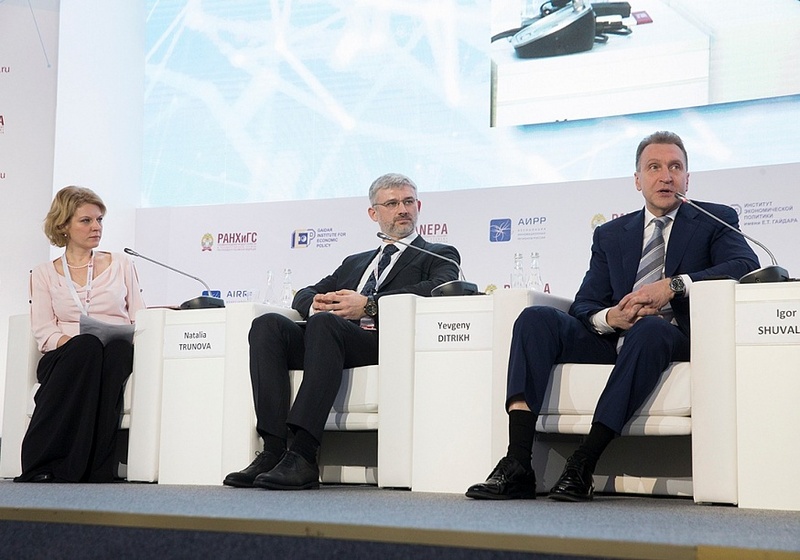 The forum brings together theoreticians and practitioners, leading international academics and politicians, representatives of the financial community and the global business elite. 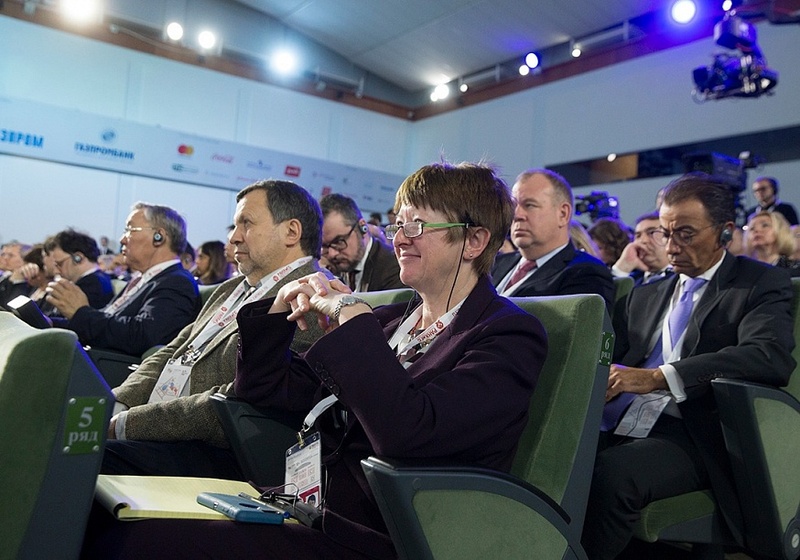 This year’s forum was held in the format of expert discussions, panels and roundtables, complemented by a number of special events. 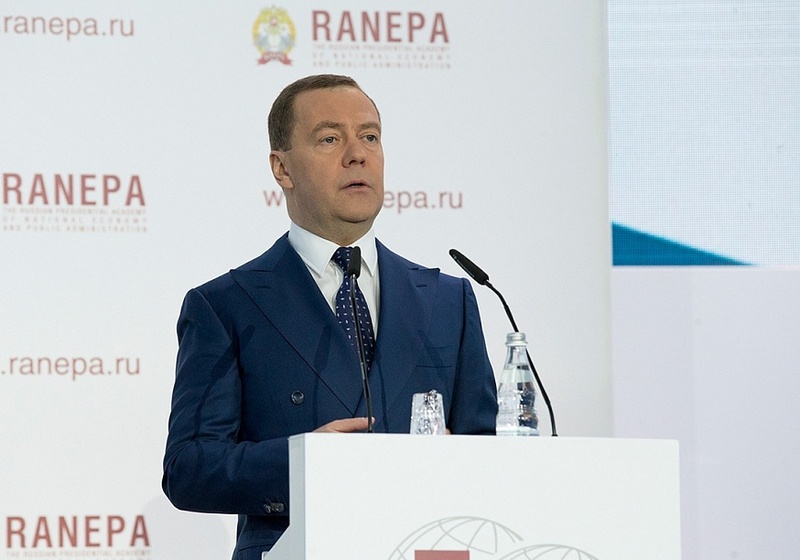 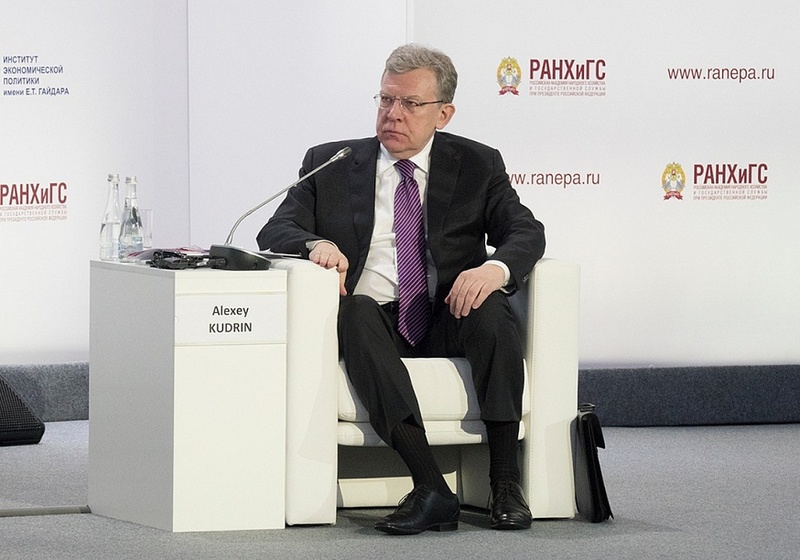 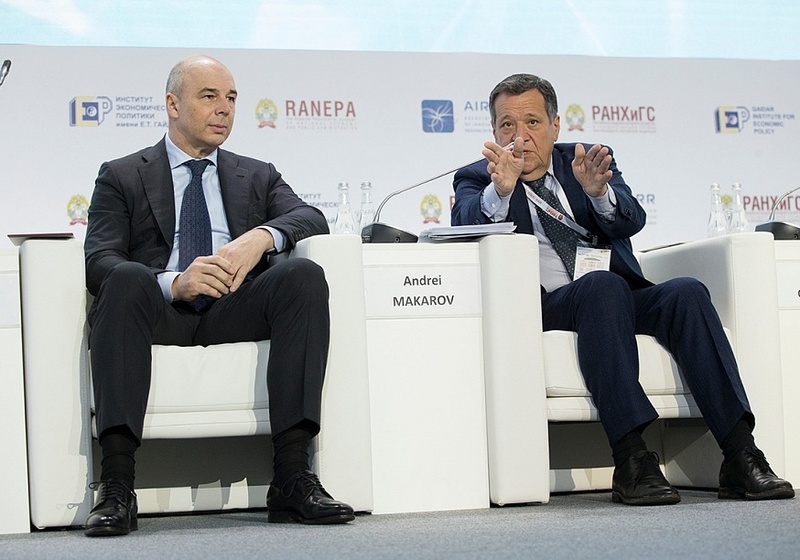 According to established tradition, the key Gaidar Forum event was the plenary discussion, National Development Goals and Global Trends, where Russian Prime Minister Dmitry Medvedev spoke. 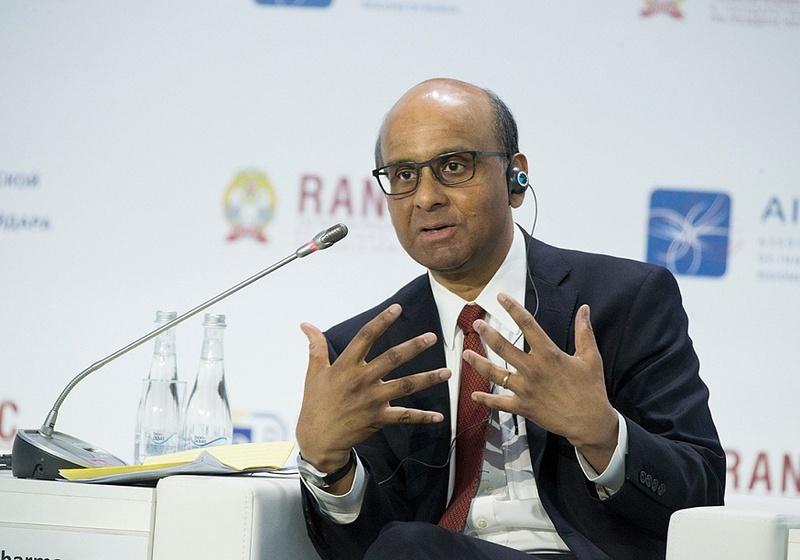 RANEPA Rector Vladimir Mau moderated the session, which was also attended by Finnish Parliament Speaker Paula Risikko, Singapore's Deputy Prime Minister, Coordinating Minister for Economic and Social Policy Tharman Shanmugaratnam, Italian Minister of Economy and Finance Giovanni Tria, French Minister of Higher Education, Research and Innovation Frédérique Vidal, and Honorary Governor of the Bank of Greece, Prime Minister of Greece in 2011-2012 Lucas Papademos. 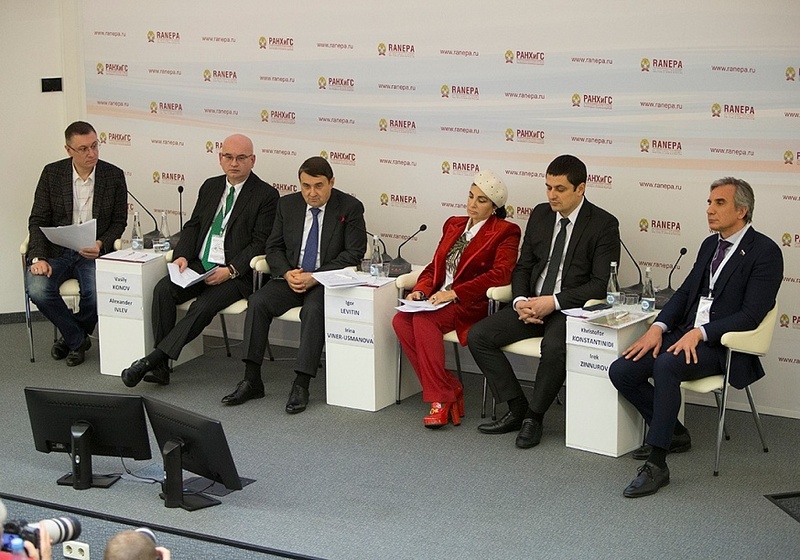 The forum opened with the business breakfast, Private Investment In Education: Motives, Priorities, Problems. 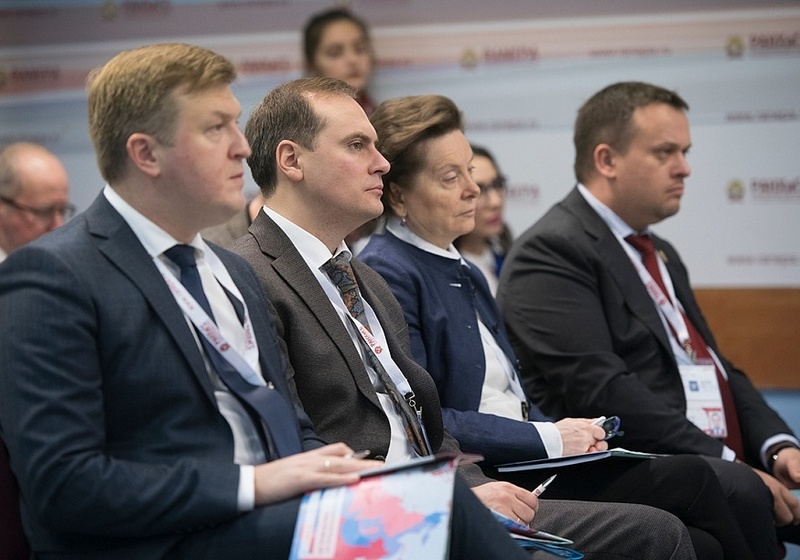 The participants discussed the priorities, motives and problems of investing in education in Russia, the profitability of such investment, and the influence of private investment on the development of the educational system as a factor of the country’s competitiveness. 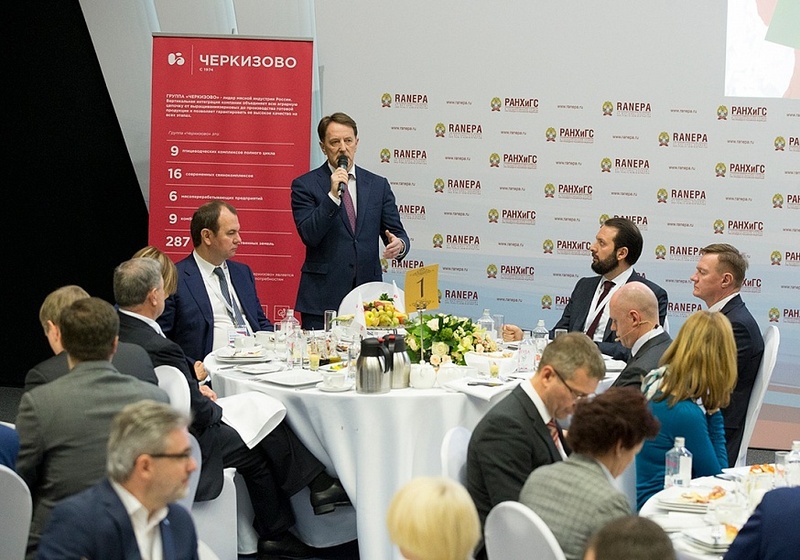 The business breakfast The State and the Business on the Way to Agro-Industrial Complex Digital Transformation was devoted to the introduction of new technologies for the development of agriculture and the Russian regions in general. 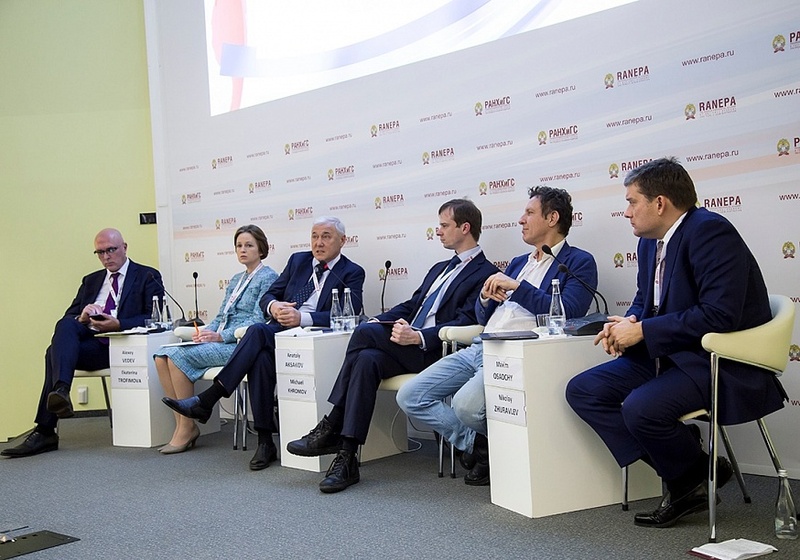 The experts examined the possibilities of a business-government alliance on the way to digital transformation. 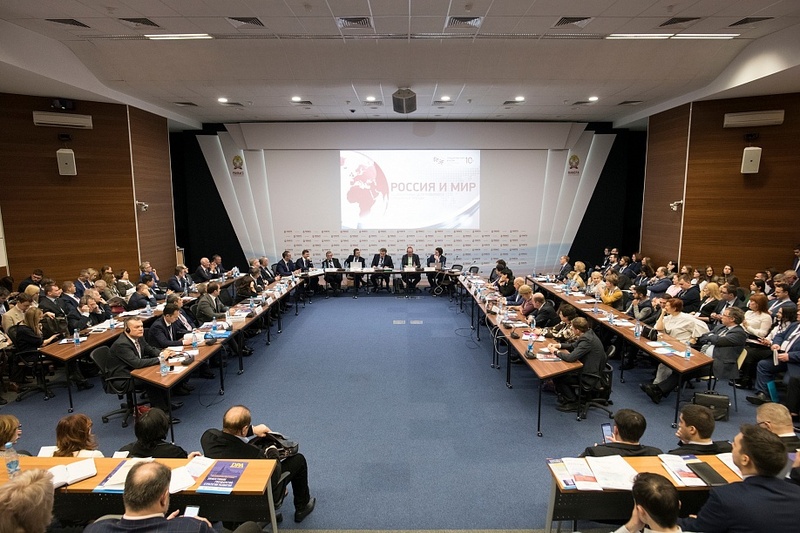 The participants in this open-ended discussion focused on National Development Goals: Strategy of Russia for 2018-2024. 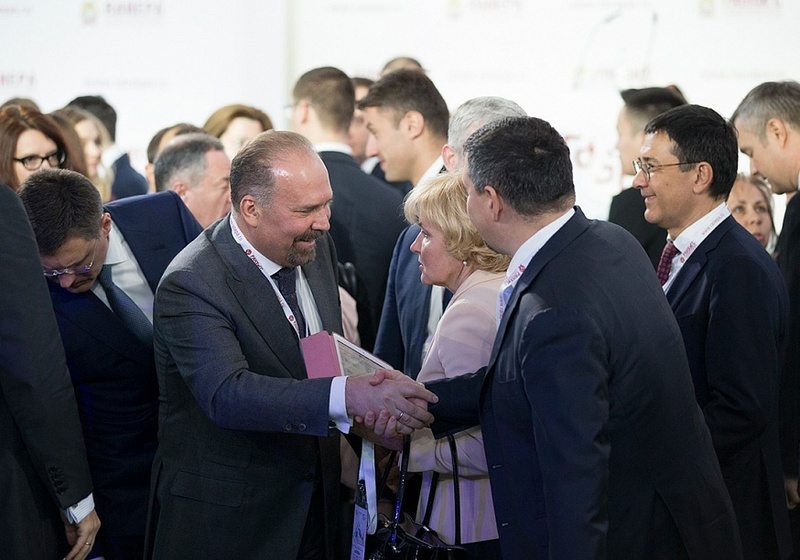 The current national development goals include breakthrough scientific, technological and socio-economic development of Russia, population growth and many others. 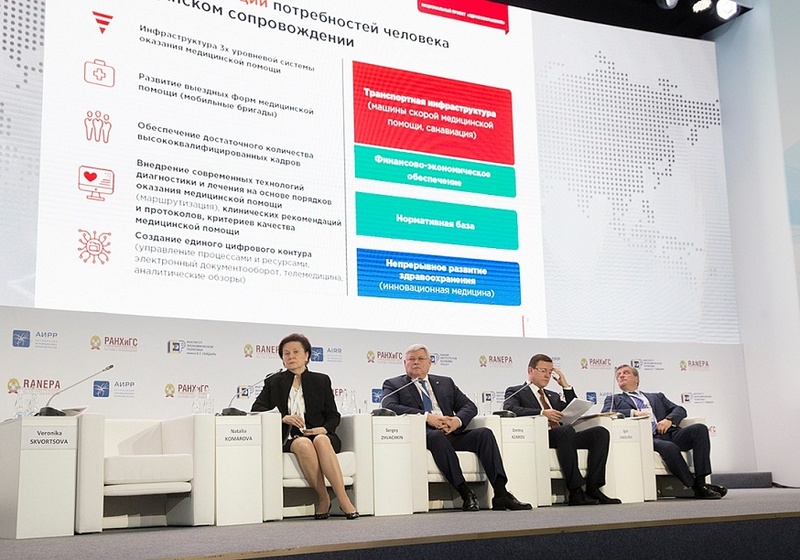 The tools for implementing these national goals are the 12 national projects and a comprehensive plan for the modernization and expansion of the backbone infrastructure. 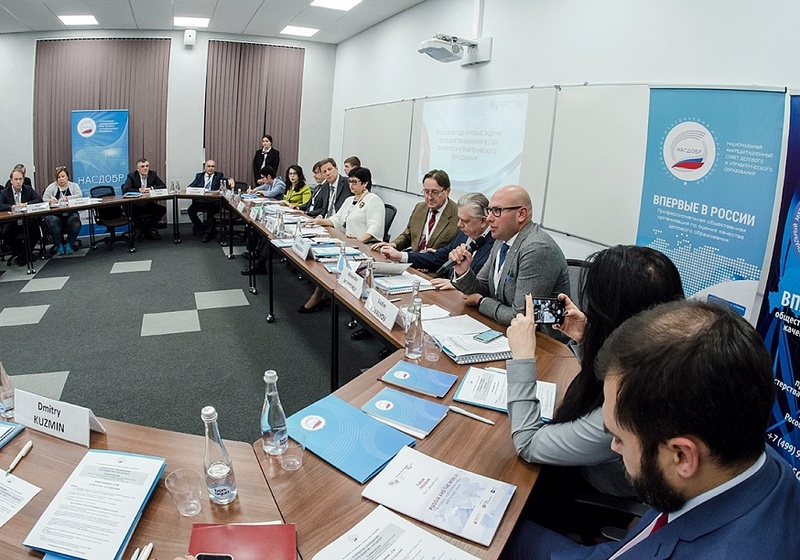 The meeting of the National Board of Business Education Quality Assessment (NASDOBR) was devoted to reviewing the results of 2018 and discussing the new tasks on quality improvement of business and managerial education in 2019. 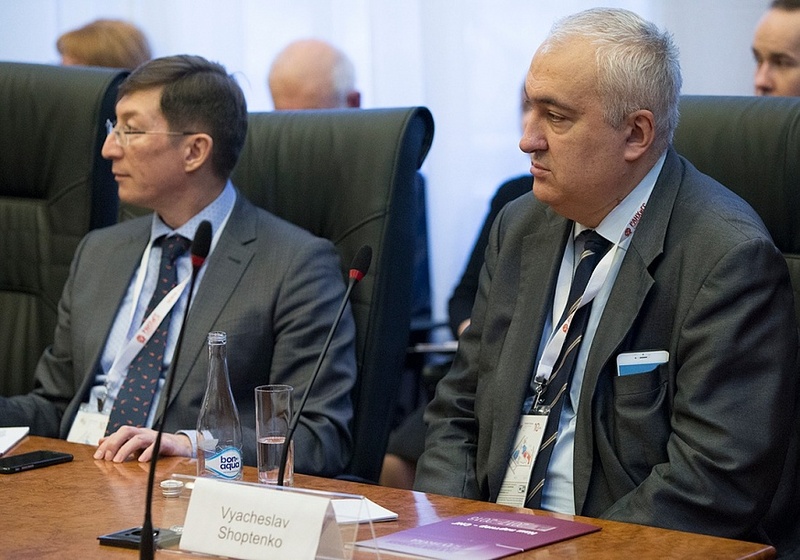 The keynote reports were made by First Deputy State Duma Speaker, Chairman of the NASDOBR Presidium Alexander Zhukov and Head of the Federal Service for Supervision in Education (Rosobrnadzor) Sergei Kravtsov.The meeting of the National Board of Business Education Quality Assessment (NASDOBR) was devoted to reviewing the results of 2018 and discussing the new tasks on quality improvement of business and managerial education in 2019. 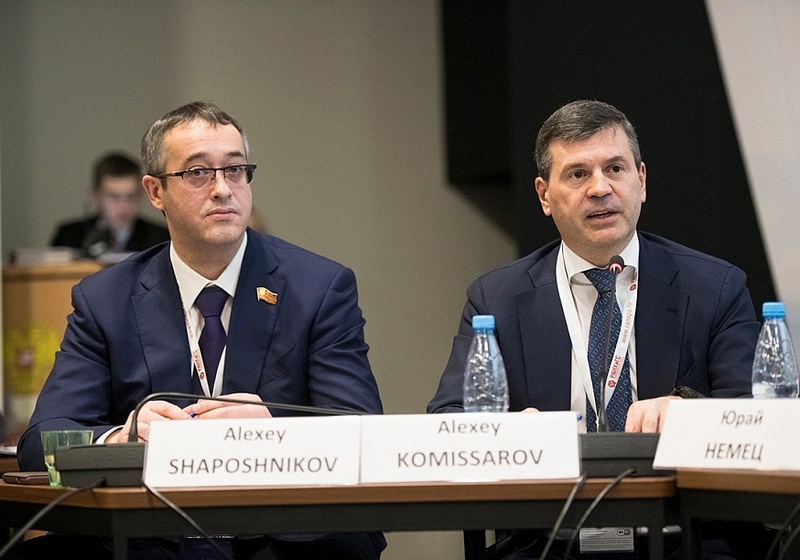 The keynote reports were made by First Deputy State Duma Speaker, Chairman of the NASDOBR Presidium Alexander Zhukov and Head of the Federal Service for Supervision in Education (Rosobrnadzor) Sergei Kravtsov. 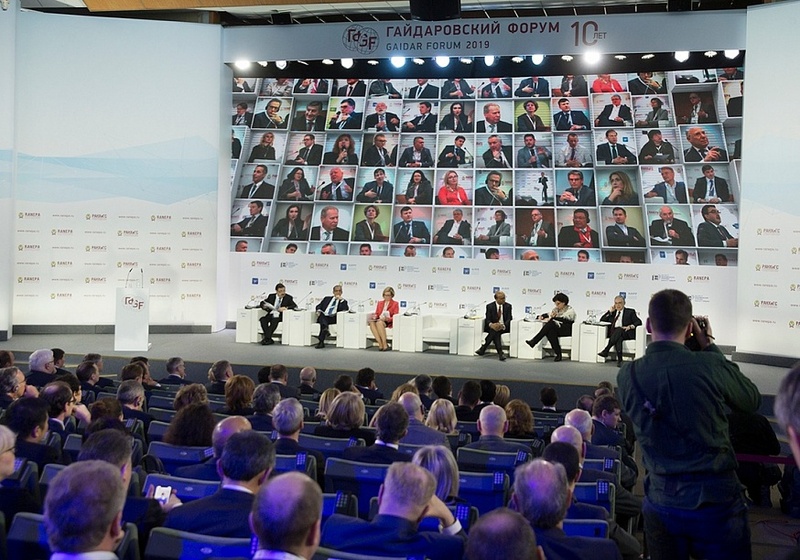 Eleven panel discussions were held at the forum. 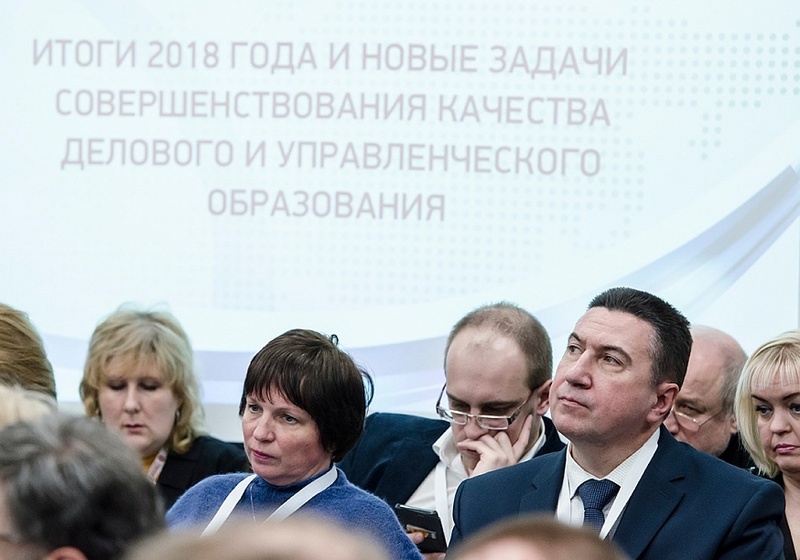 The first discussion, Social Triad: Demography – Employment – Income, was attended by Deputy Prime Minister Tatyana Golikova and Minister of Labor and Social Protection Maxim Topilin. 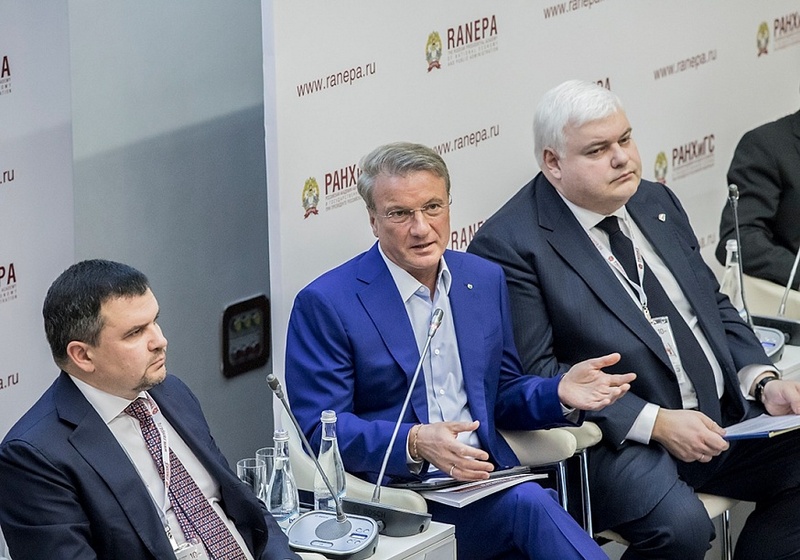 Social issues, aspects of their development and regulation are traditionally among the highlights of the Gaidar Forum program. 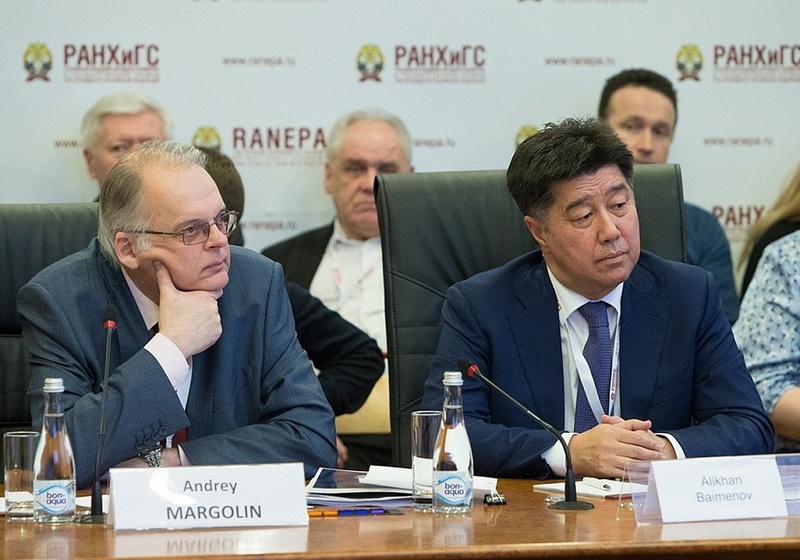 The next discussion was devoted to National Goals and Social Challenges: Regional Aspect. 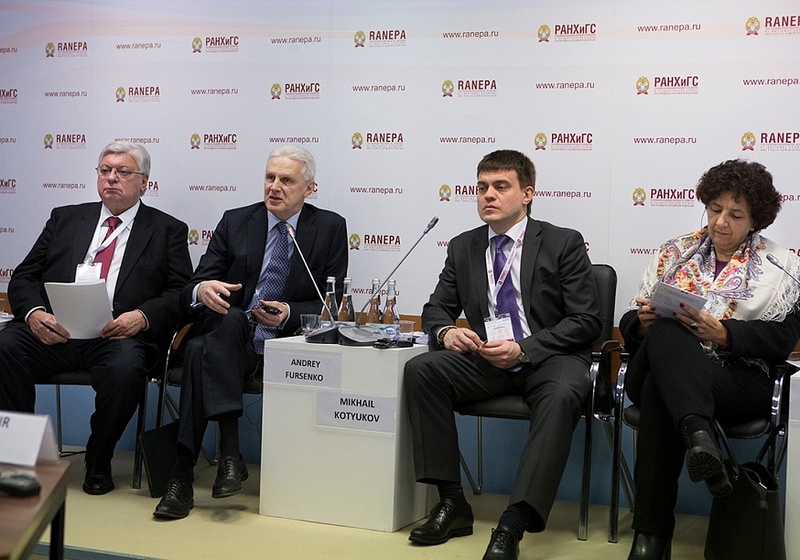 The speakers were First Deputy Prime Minister - Finance Minister Anton Siluanov, Deputy Prime Minister Tatyana Golikova and RANEPA Rector Vladimir Mau. 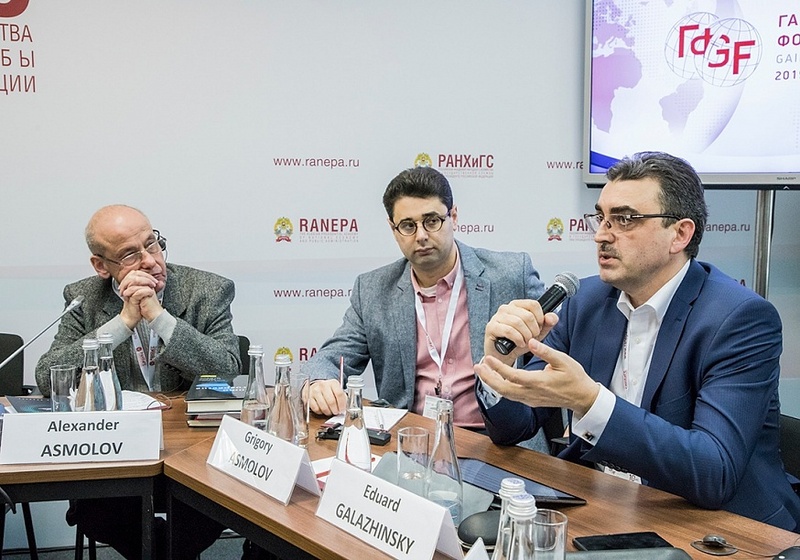 The participants talked about our country’s prospects in 2019, what kind of breakthrough we need to make and whether we are ready for radical transformations. 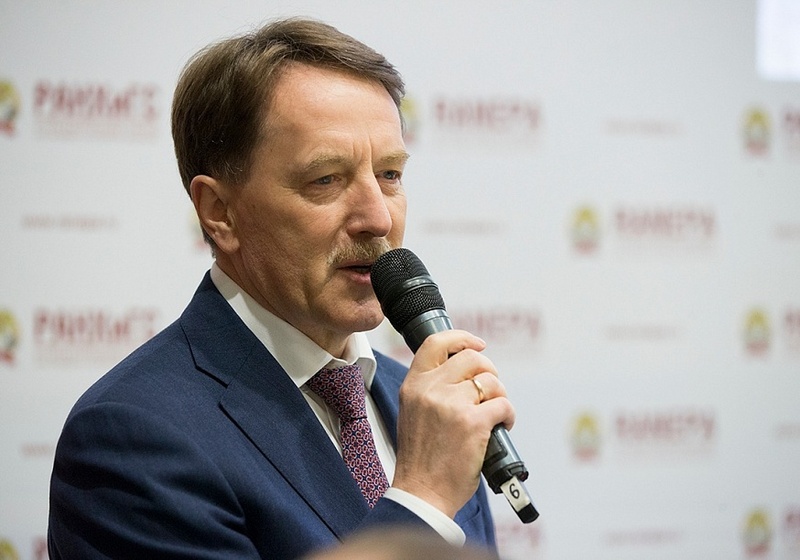 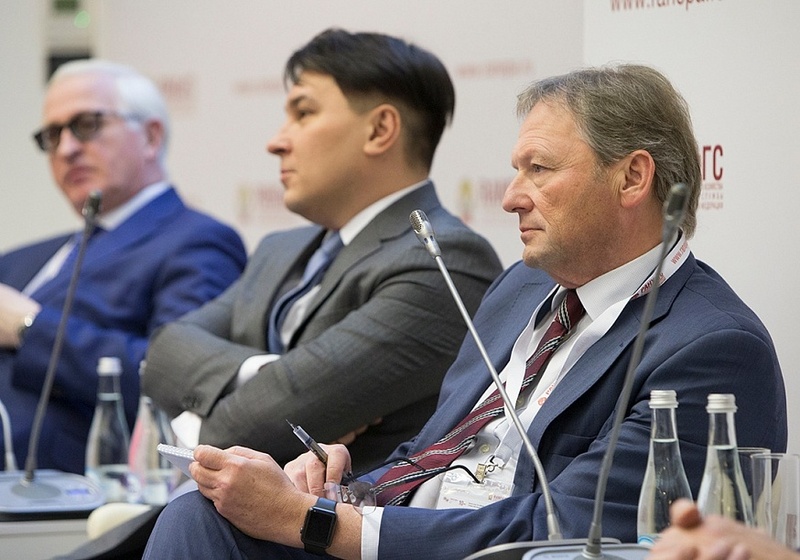 The speakers at Russian Jurisdiction: Attractiveness and Competitiveness Factors included Deputy Prime Minister and Chief of Staff of the Russian Government Konstantin Chuichenko and Presidential Commissioner for Entrepreneurs' Rights Boris Titov. 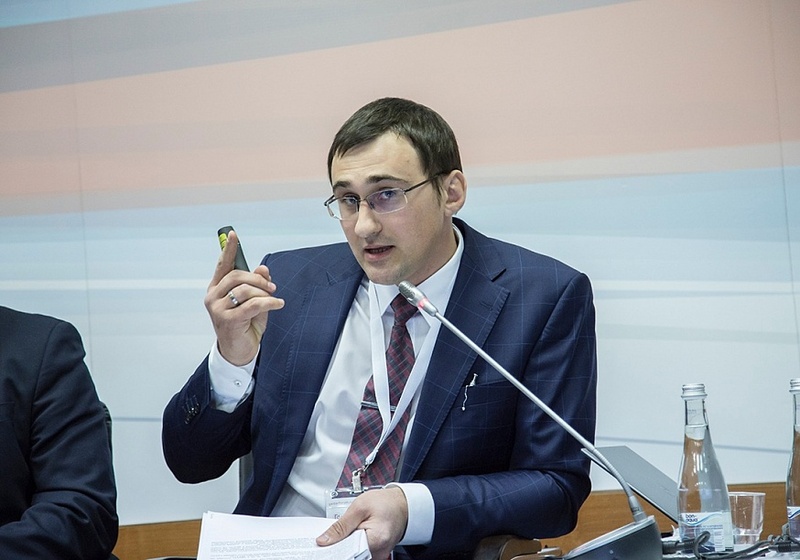 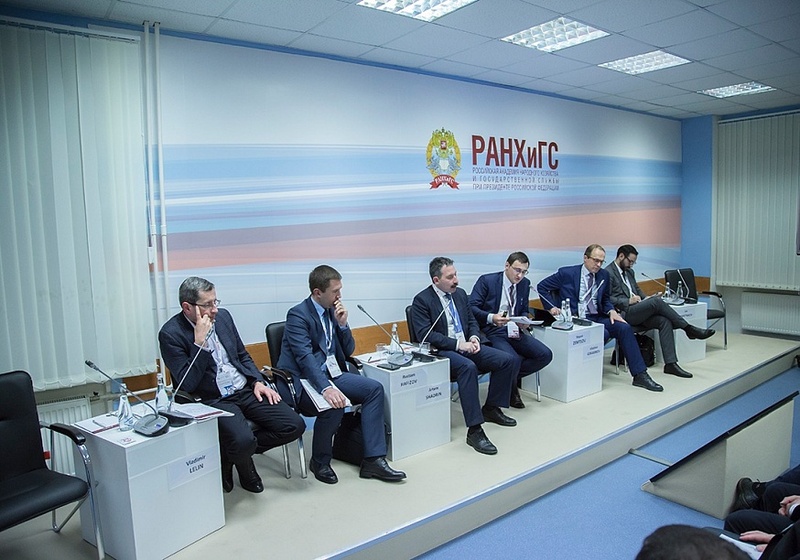 The discussion The State as a Platform: People and Technologies was attended by Deputy Prime Minister Maxim Akimov. 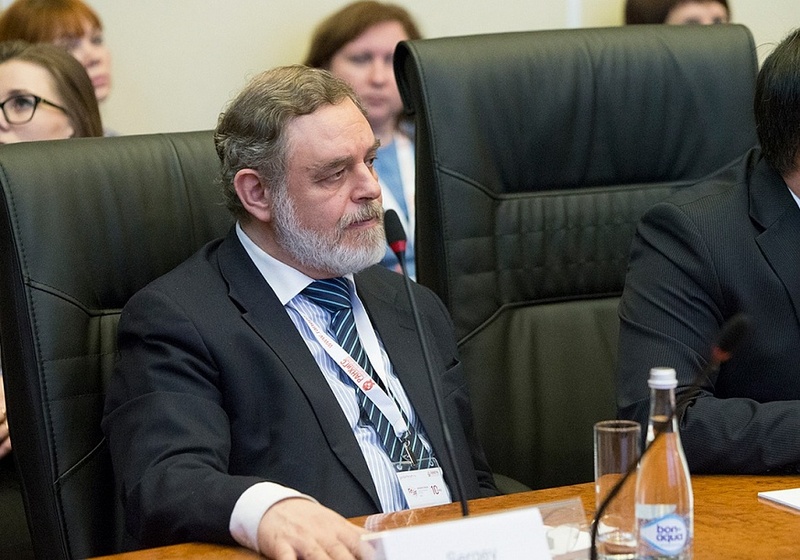 One of the discussions, Management of Scientific and Technological Development of Russia, was attended by Minister of Science and Higher Education Mikhail Kotyukov. 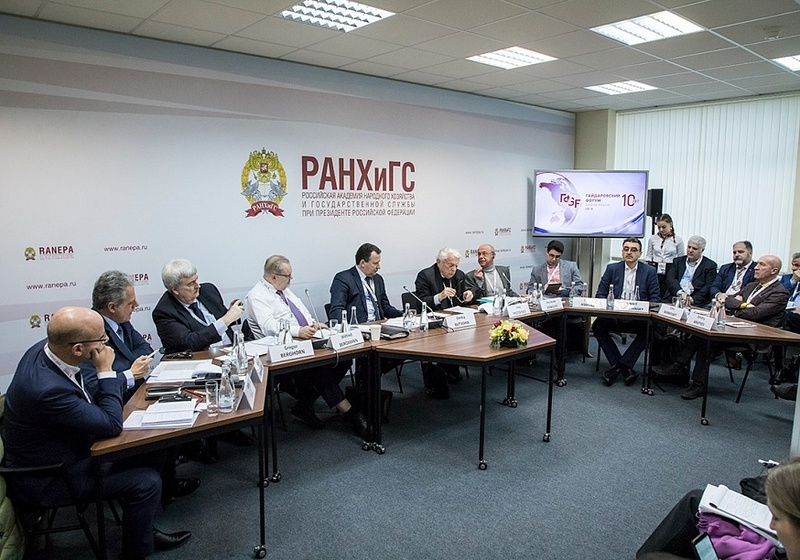 The following topics were also considered: Taxation Policy as a Factor of Russian Business Competitiveness; Spatial Development Priorities: A New Quality of Life; International Meeting of Accounts Chambers: Strategic Audit: How the Supreme Audit Institutions Assess the Achievement of National Goals; Theater of the Future; Sanctions and Trade Wars: A New Reality; 85 Projections of the National Healthcare Project. 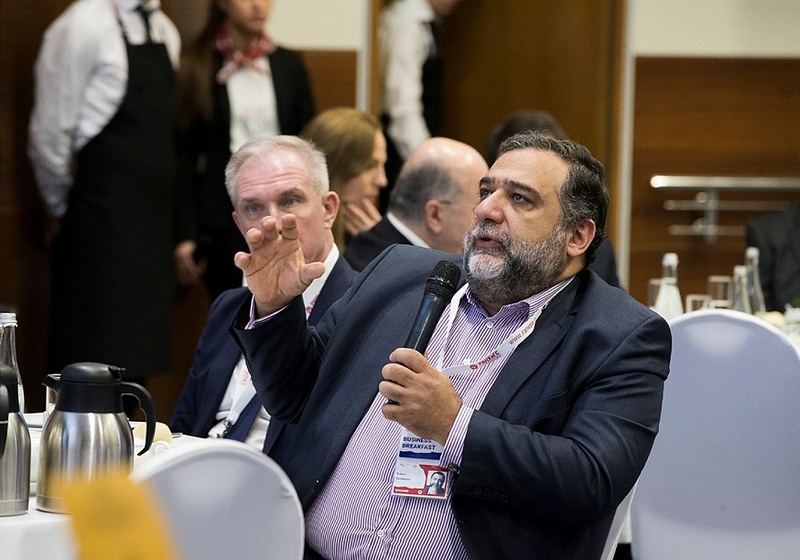 These discussions were devoted to a variety of topics: social entrepreneurship, new education technologies, financial sector, demographics, economic growth and trends, digitalization, management training, energy efficiency, customs administration, sustainable development goals, single-industry towns, crypto-economy, modern governance, business and government, labor productivity, financial control, state audit, artificial intelligence, management of regional development, taxation, leadership in the public sector and many others. 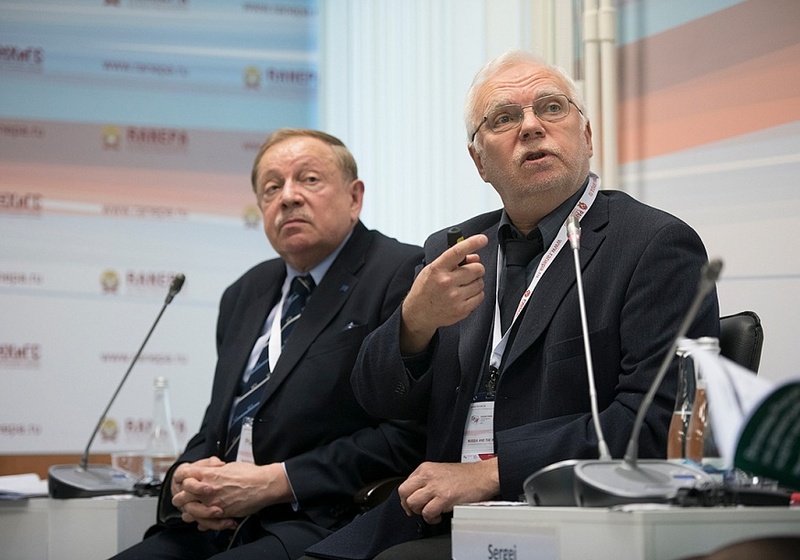 One of the roundtable discussions was devoted to Social and Psychological Aspects of Digitization. 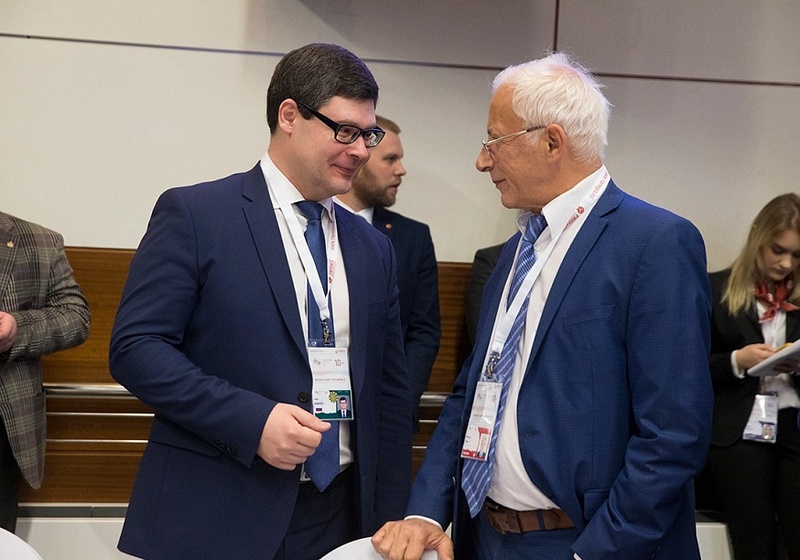 The participants looked at the impact of digitalization on the psychological health of people and society, as well as the legal aspects of the introduction of new technologies. 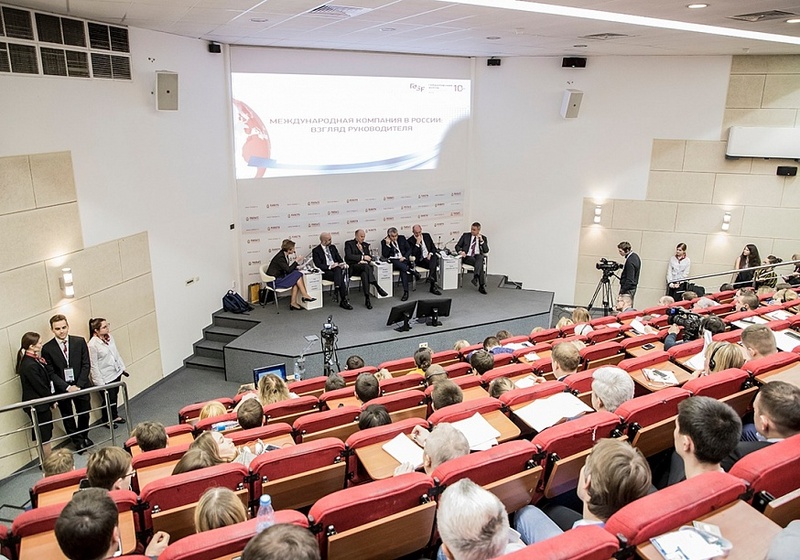 They specifically noted education as a way to reduce social tensions provoked by the growing digitalization. 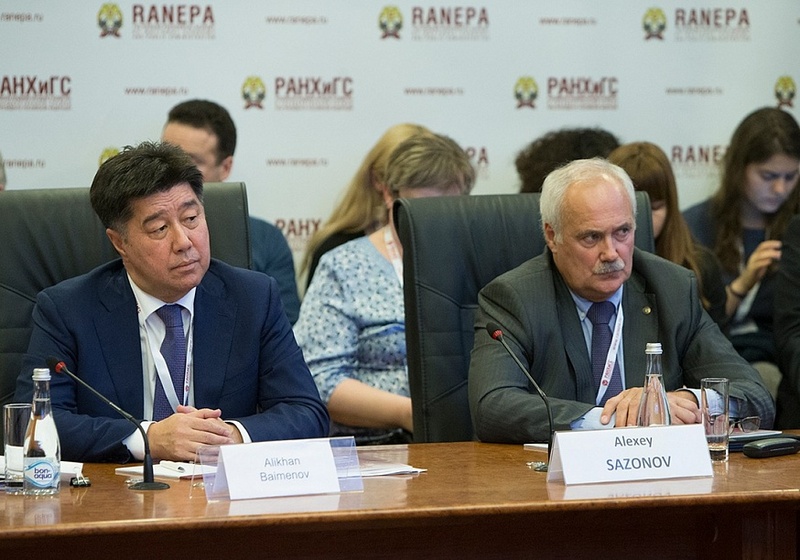 Heads of educational institutions and experts discussed how the world of professions is changing, and identified priorities in education and the main trends among young people at the roundtable Young Generation: Integration into the Future. 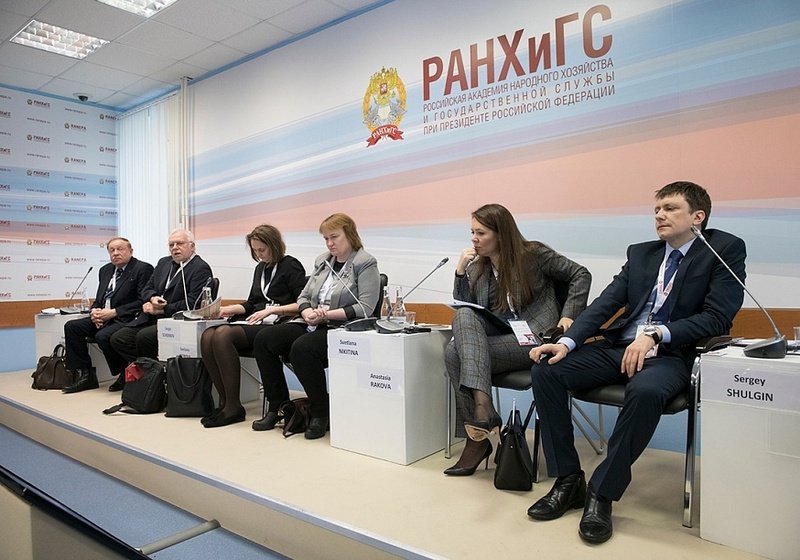 The session Public Task: Creating Conditions to Improve the Level of Financial Literacy of the Population of the Russian Federation was devoted to effective interaction between the parties involved in implementing the Finance Ministry’s project to raise financial literacy and develop financial education. 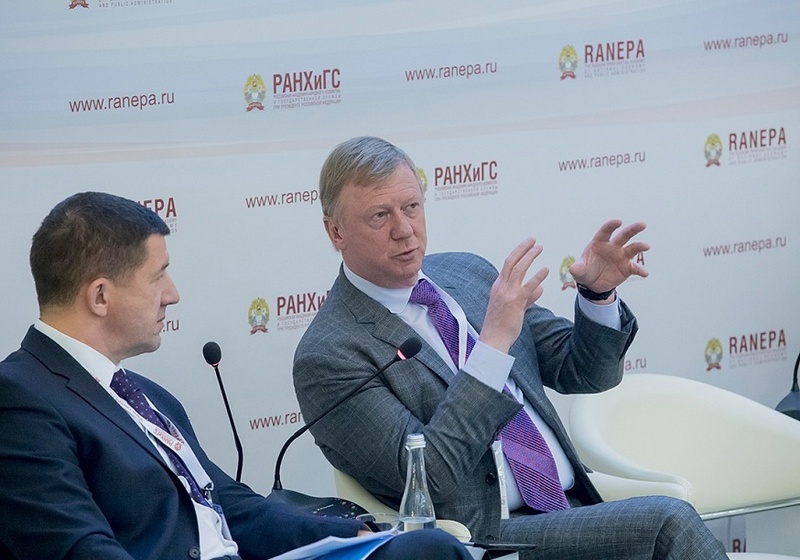 The participants discussed the Government’s and the Bank of Russia’s strategy in this area and the regions’ plans made as part of this strategy. 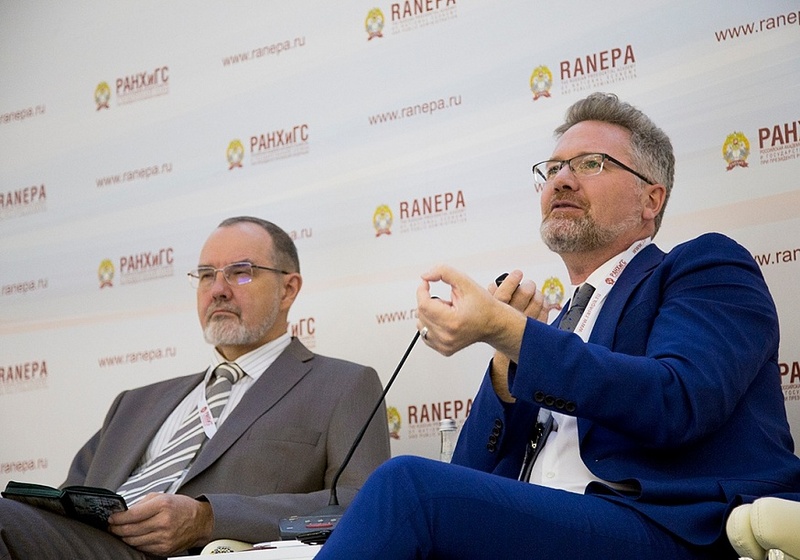 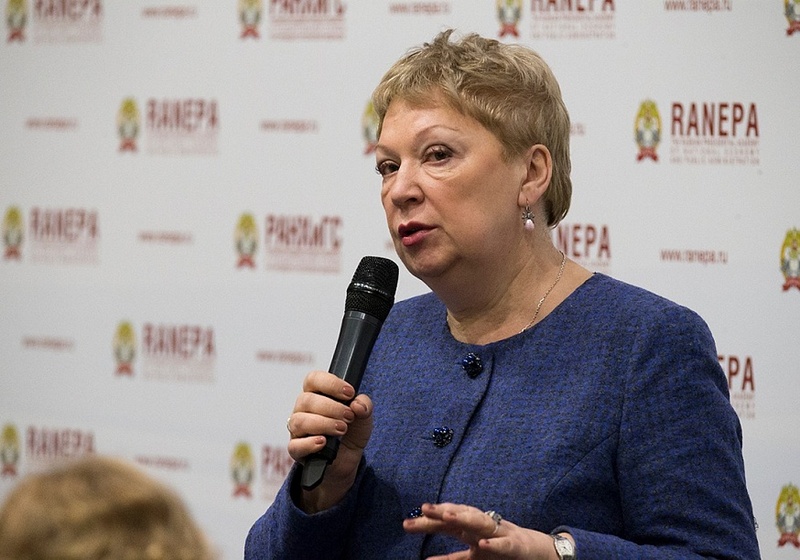 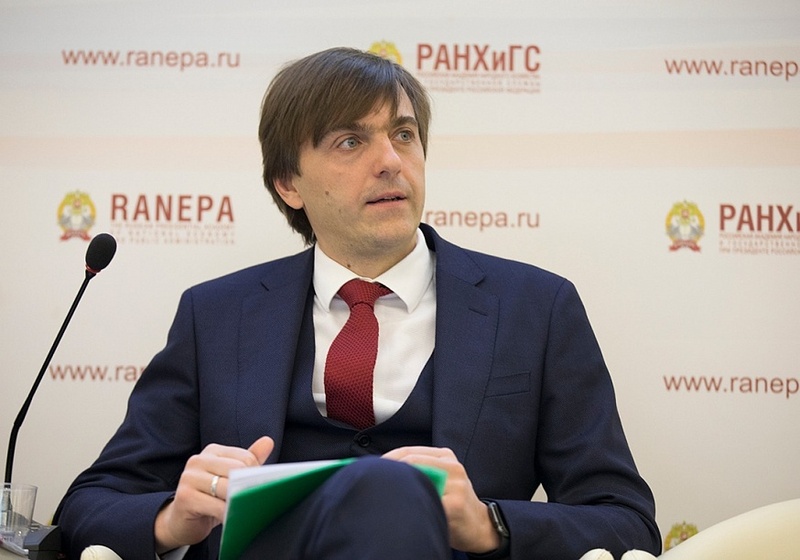 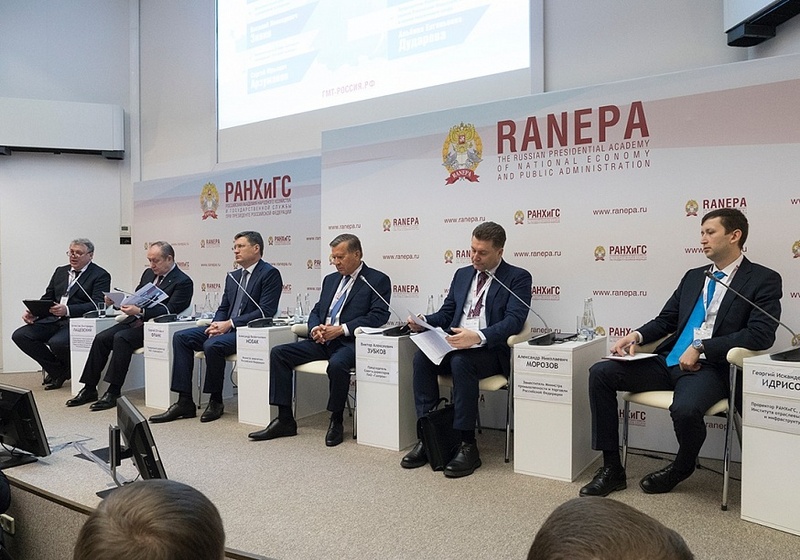 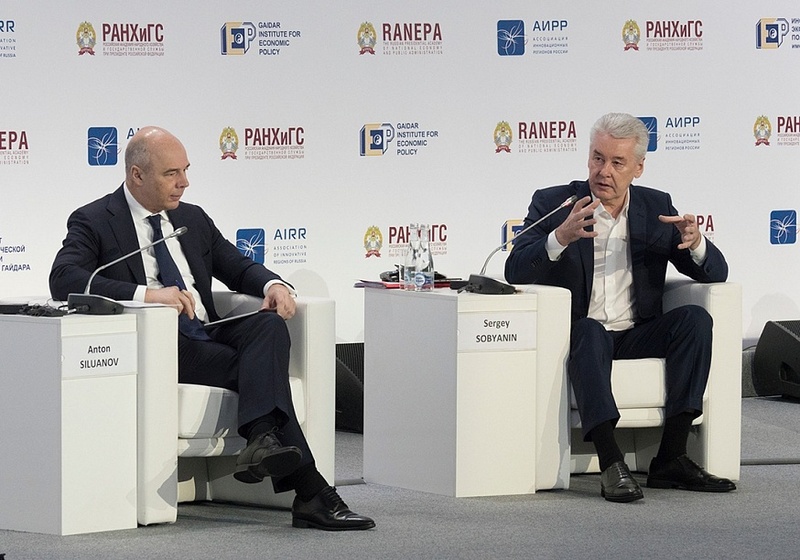 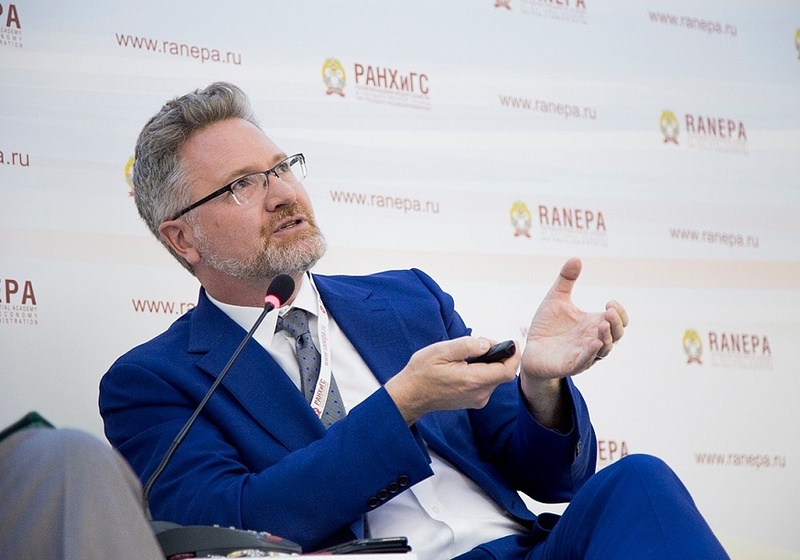 RANEPA and AIRR, together with Interfax Group, presented their annual national report on the development of high-tech business in Russian regions. 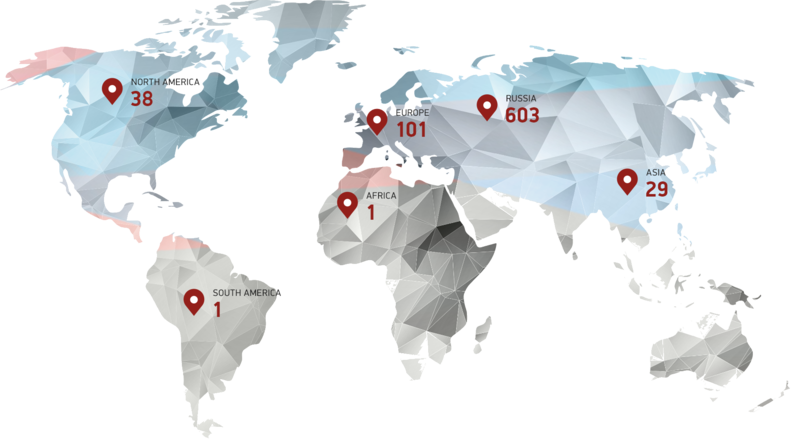 The research uses a system of indicators that give insight into the most profitable and successful regions in terms of doing business. 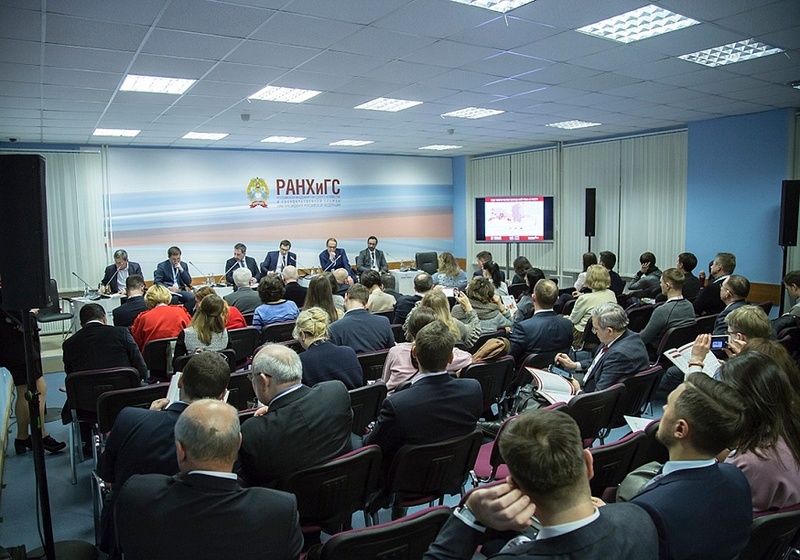 The report provides tools for monitoring the annual dynamics of high-tech economic sectors’ development in the regions, which is important for making well-thought-out political decisions. 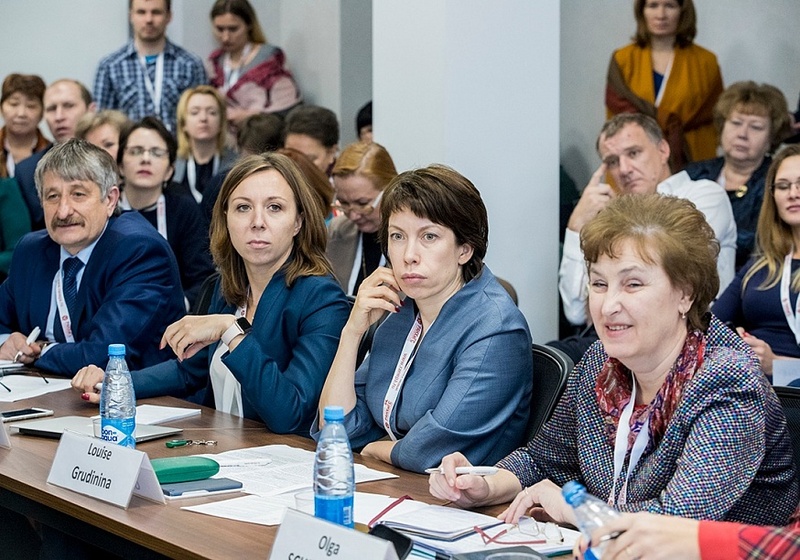 The Association of Innovative Regions of Russia (AIRR) developed its ranking in 2012 in cooperation with the Ministry of Economic Development. 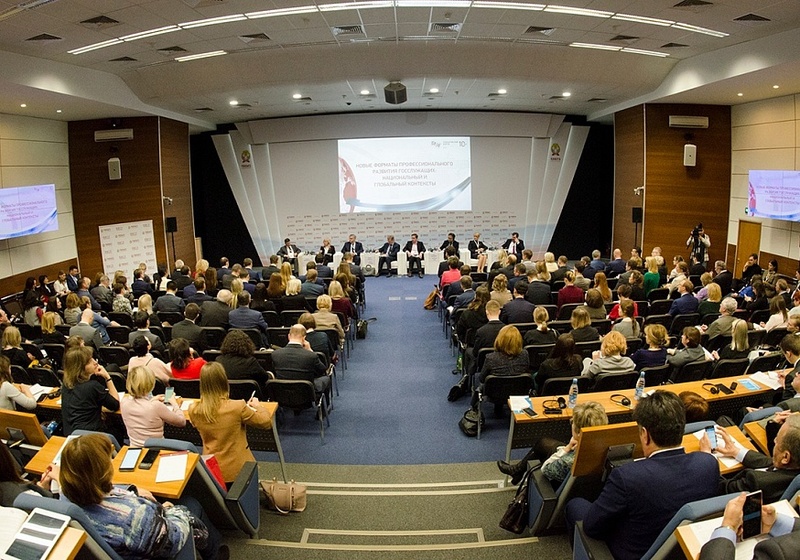 Since 2016, the regions have been ranked by 29 indicators. 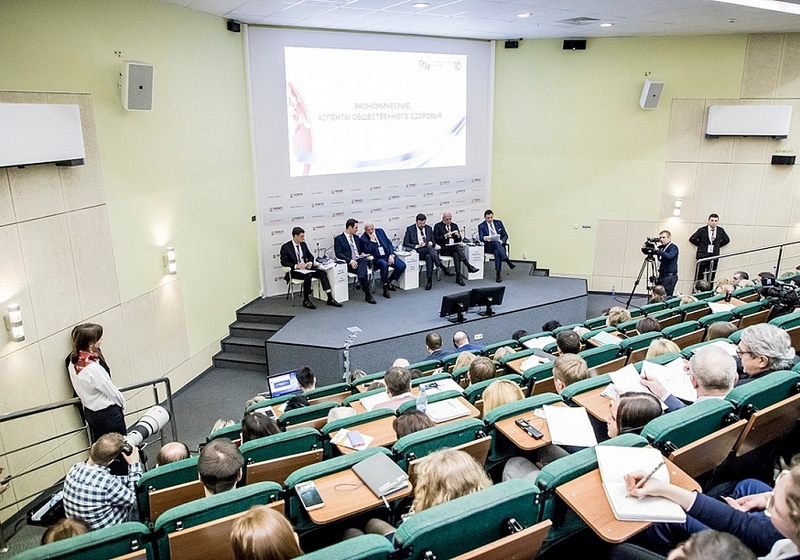 Unlike previous ones, this year’s ranking keeps track of six qualitatively new indicators from the Innovative Activity category. 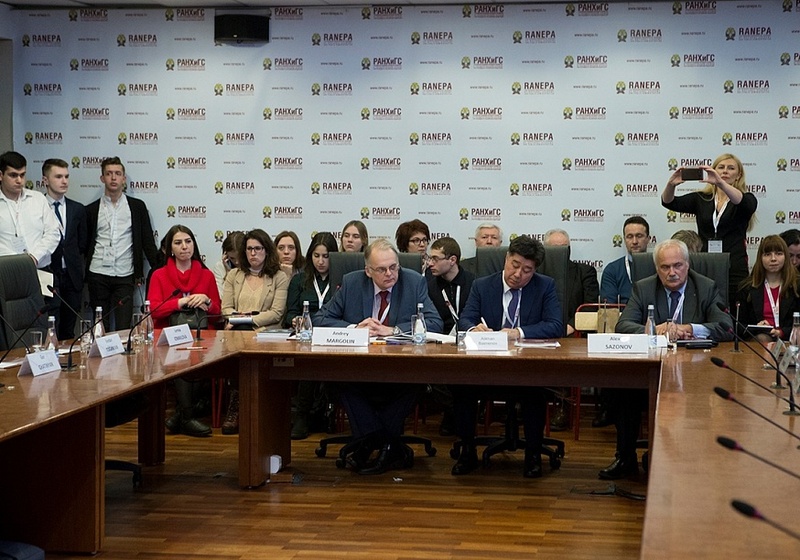 The methodology relies on quantitative indicators and helps identify the strengths and weaknesses of each region’s development. 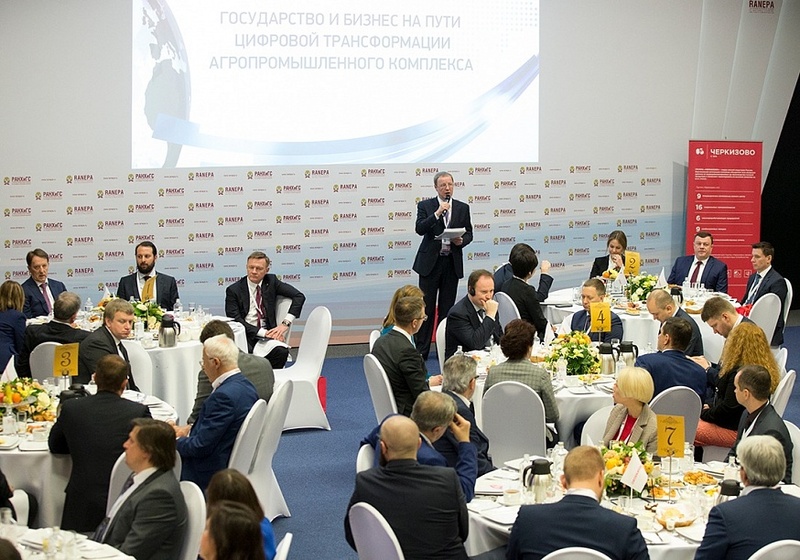 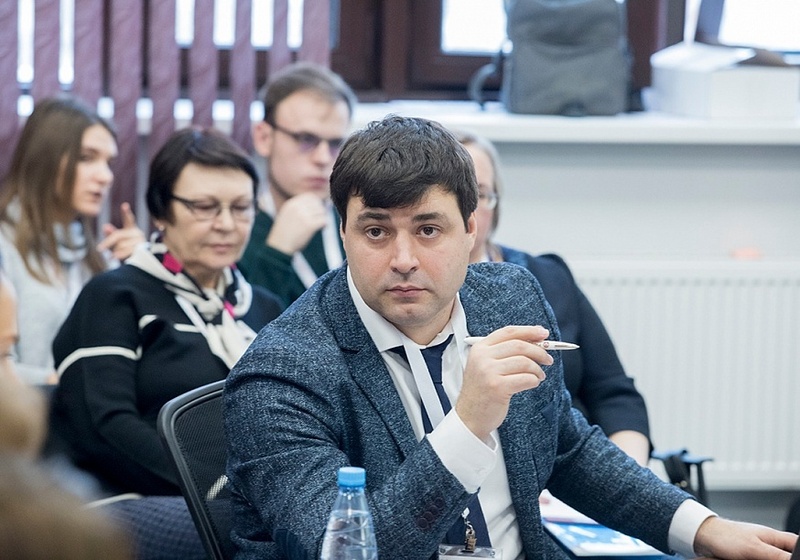 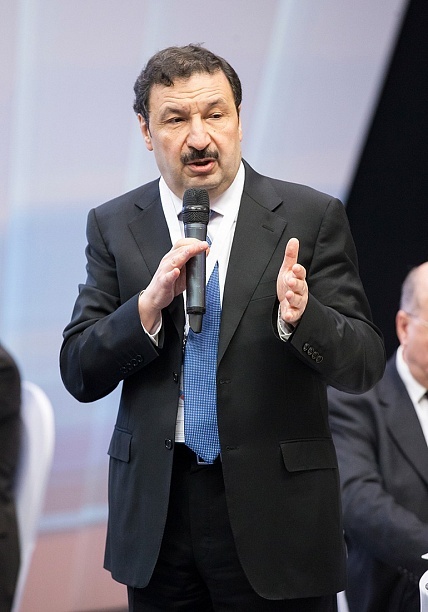 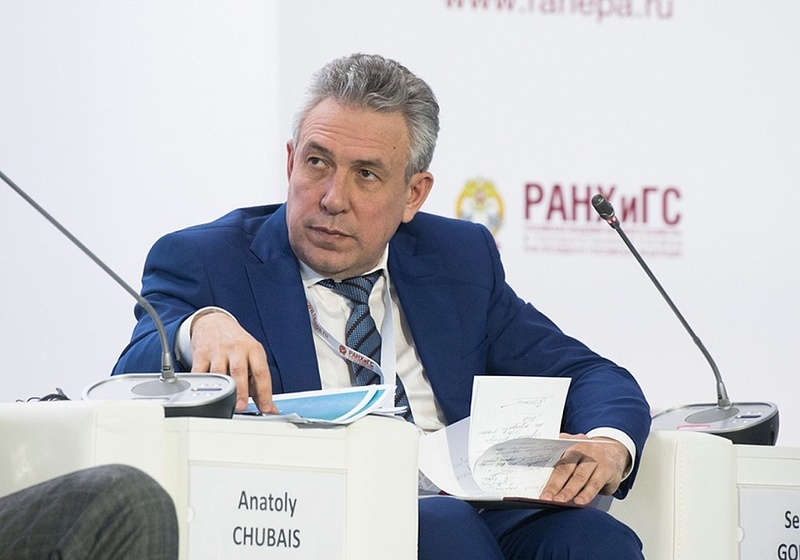 Several book presentations took place during the 2019 Gaidar Forum, Russia and the World: National Development Goals and Global Trends. 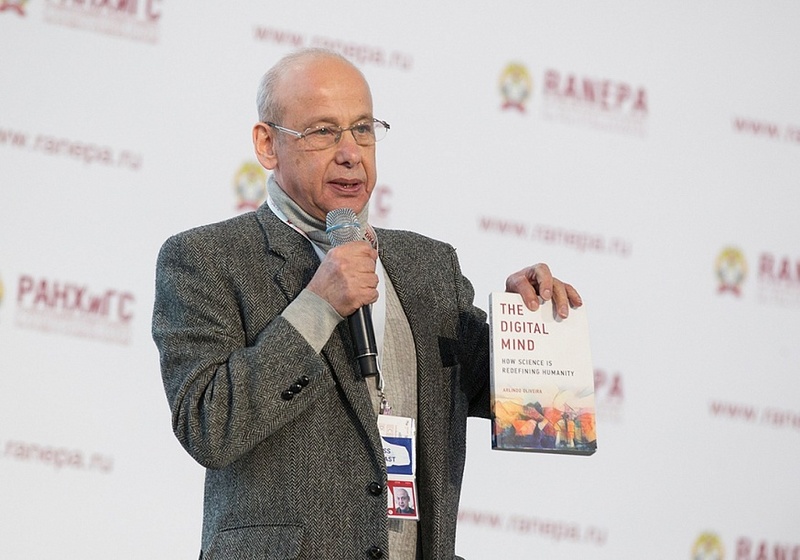 Economist Vito Tanzi, former Director of the IMF Fiscal Affairs Department (1981-2000), presented the books Government Versus Markets: The Changing Economic Role of the State, and Termites of the State: Why Complexity Leads to Inequality. 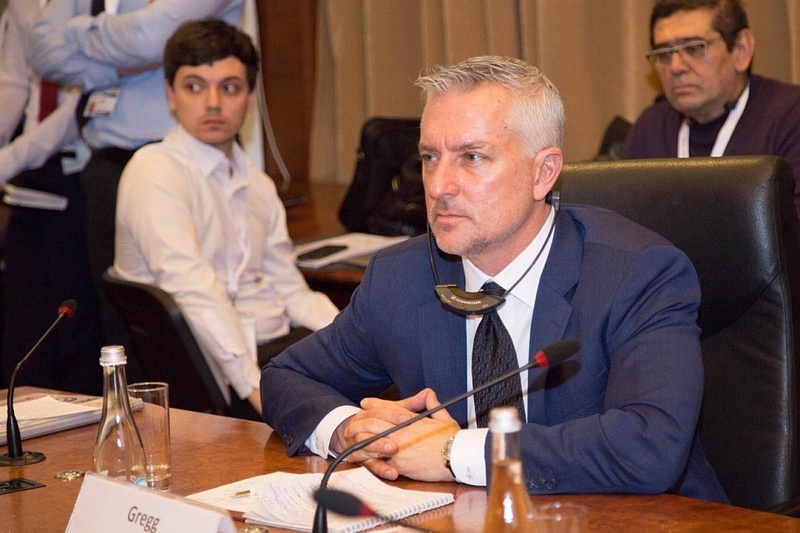 Three books were presented by History Professor at Columbia University Adam Tooze: The Deluge. 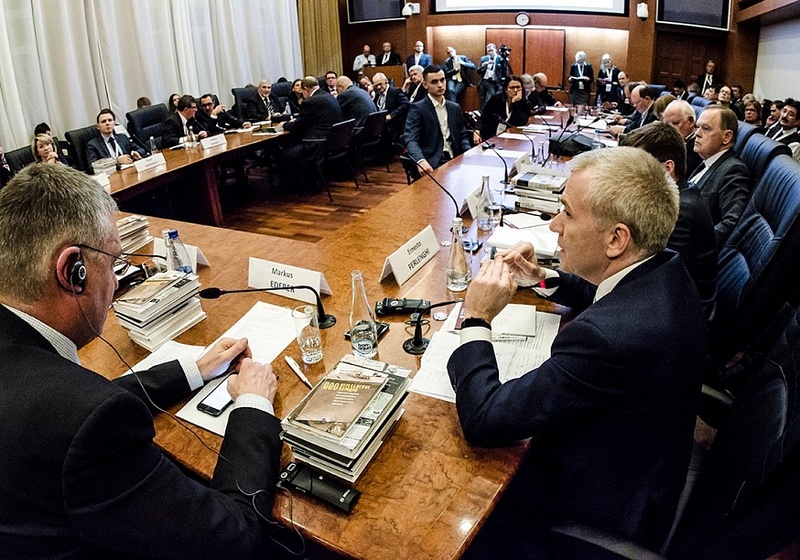 The Great War and the Remaking of the Global Order, 1916-1931, The Wages of Destruction. 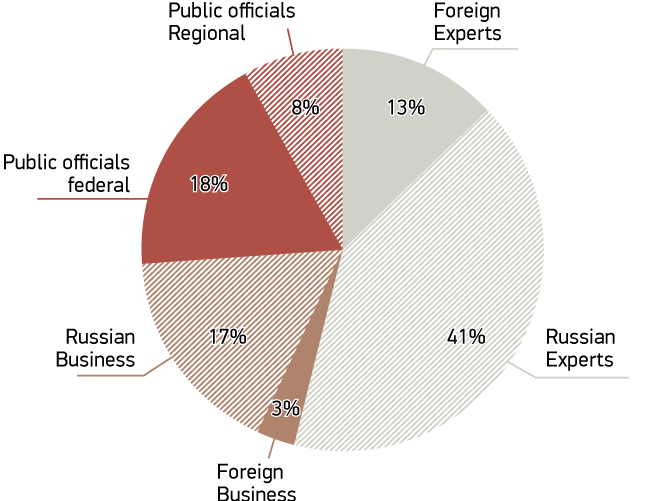 The Making and Breaking of the Nazi Economy, and Crashed: How the Decade of Financial Crises Changed the World. 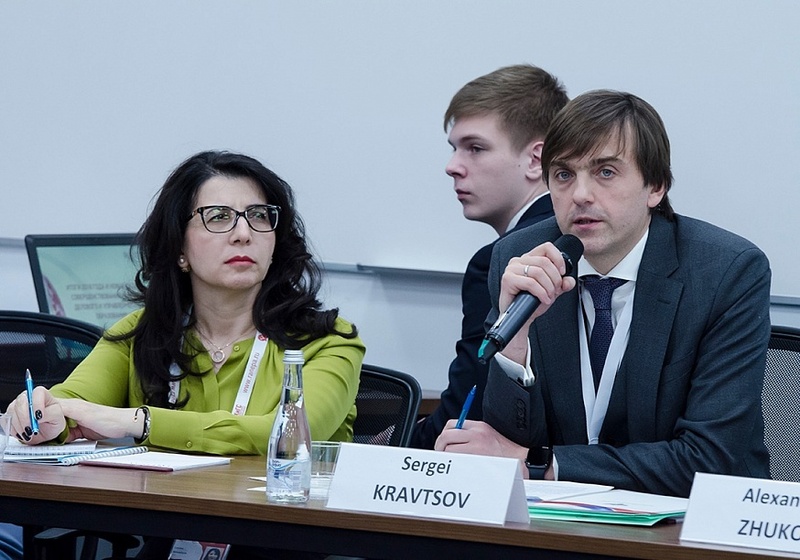 The expert discussion Networking CIS Public Administration Academy: From Idea to Joint Projects Implementation was devoted to the Networking Academy’s pilot projects and the implementation of joint personnel training programs in priority areas of economic and socio-cultural integration by partner universities. 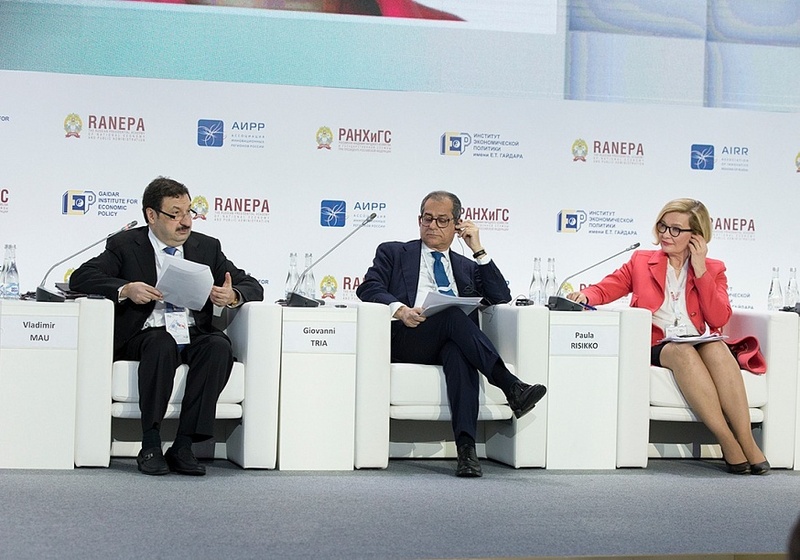 These programs will help create an atmosphere of trust, and a common understanding of values and prospects for the development of long-term cooperation between the participating states. 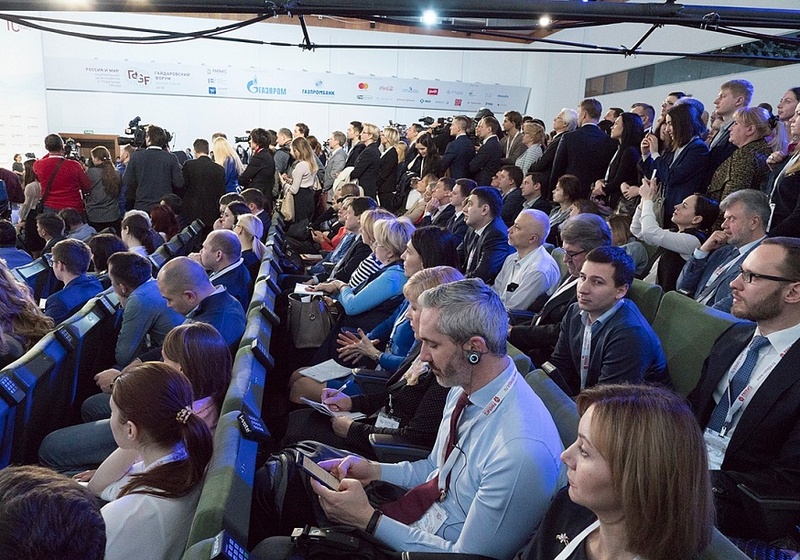 Information partners of 2019 Gaidar Forum included 34 media outlets. 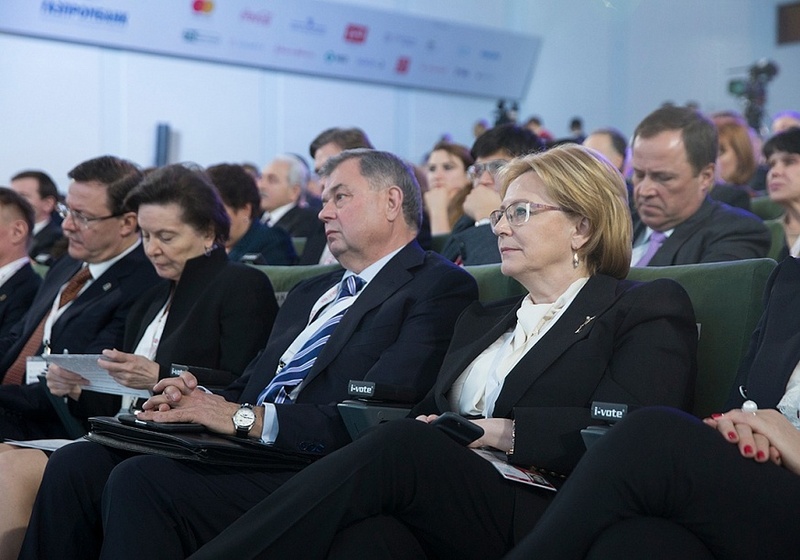 Forbes lounge, TASS, Rossiya Segodnya, Interfax, Gazeta.ru, News.ru, and Invest Foresight. 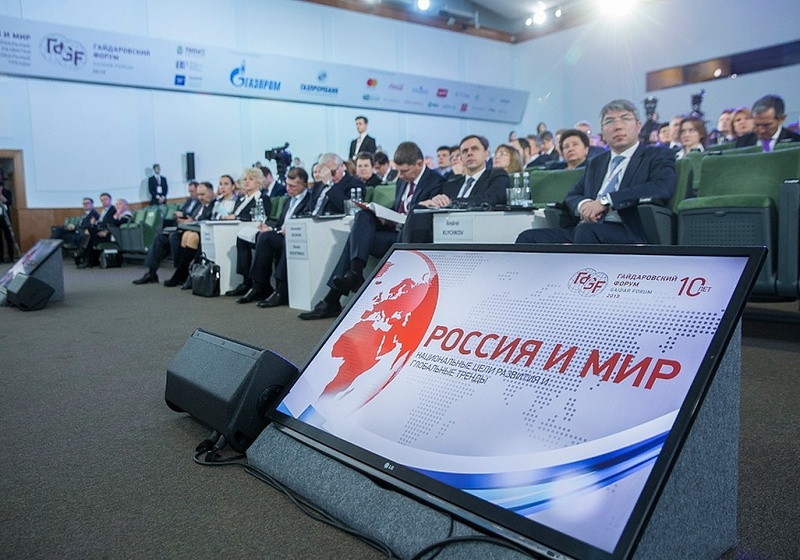 Rossiya-24 broadcast the first and second days of the forum, and ran announcements the day before. 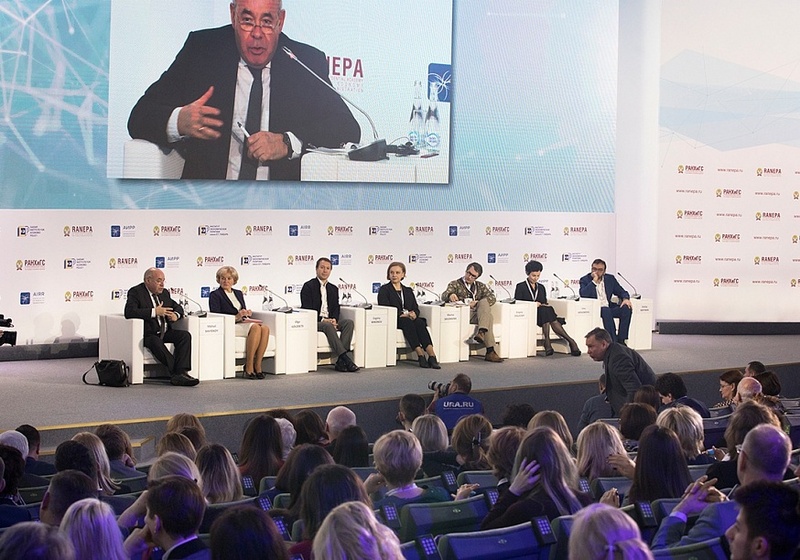 The stories were broadcast throughout the forum and in its wake. 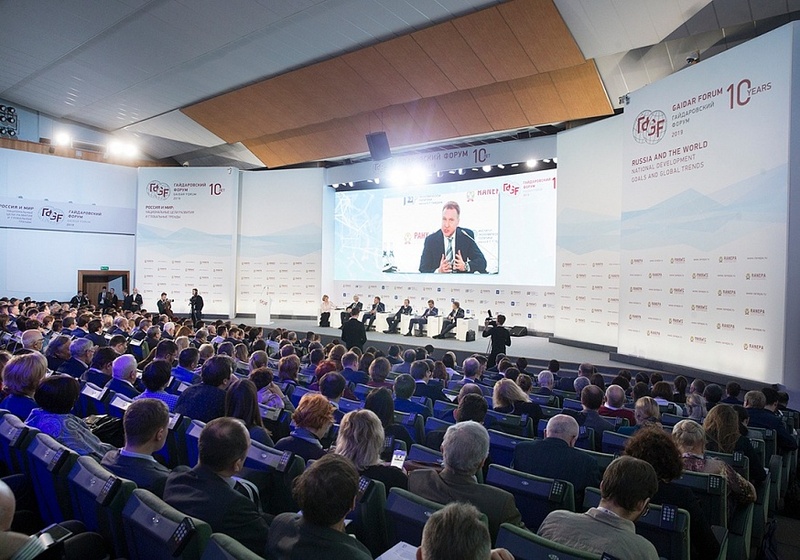 TV channels, radio stations, news agencies and online media ran coverages and live shows from their booths at the forum during all three days. 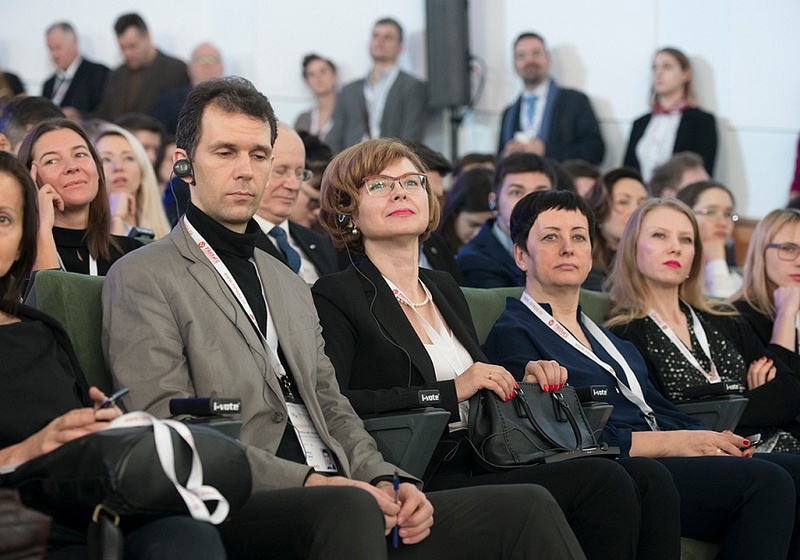 Hundreds of journalists watched the forum webcasts. 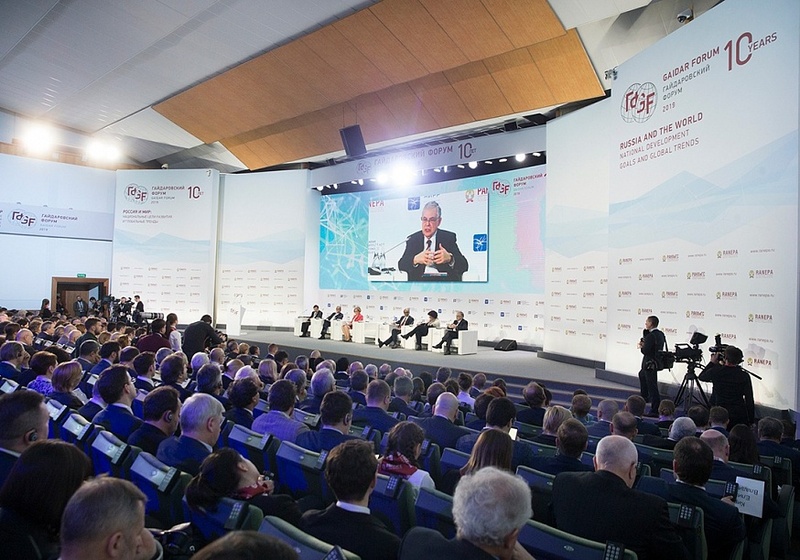 In the press center, eight events were shown live at the same time. 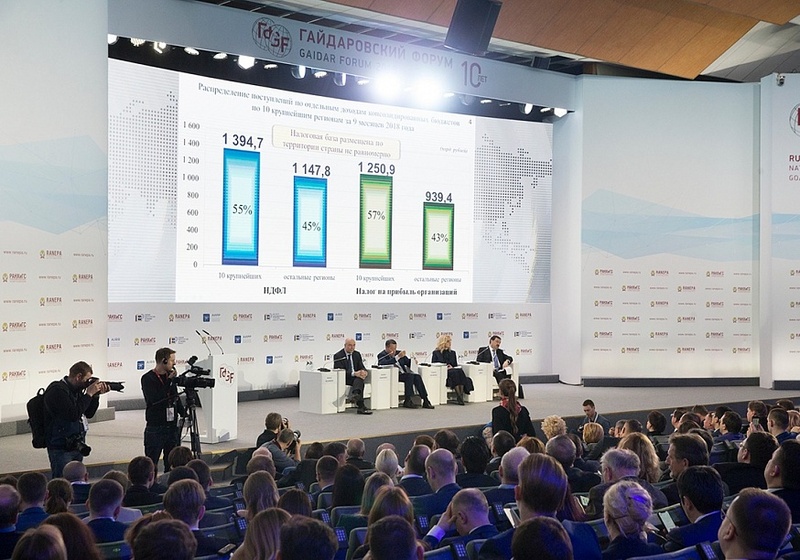 Reports on the forum were published in all 85 constituent regions of the Russian Federation, in the Russian-language media in 18 countries and 11 CIS countries, as well as in hundreds of world media. 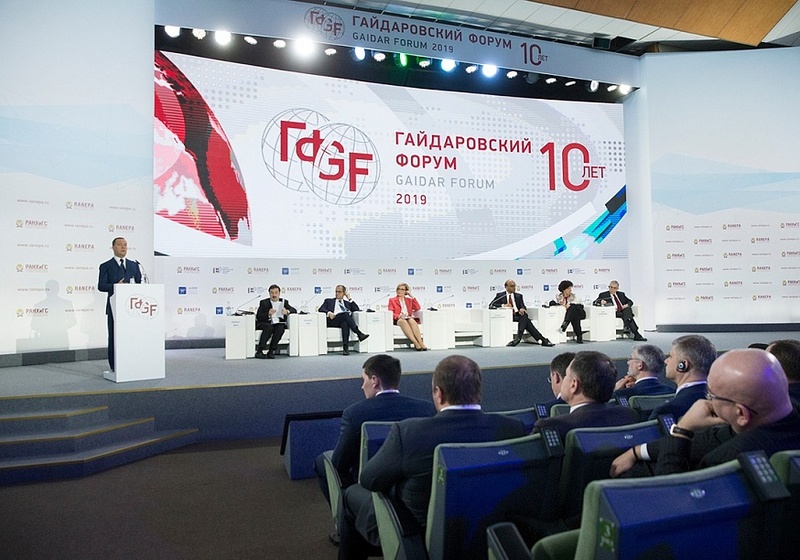 On an annual basis, the Forum brings together the people whose advanced achievements influence the socio-economic development of regions and states.